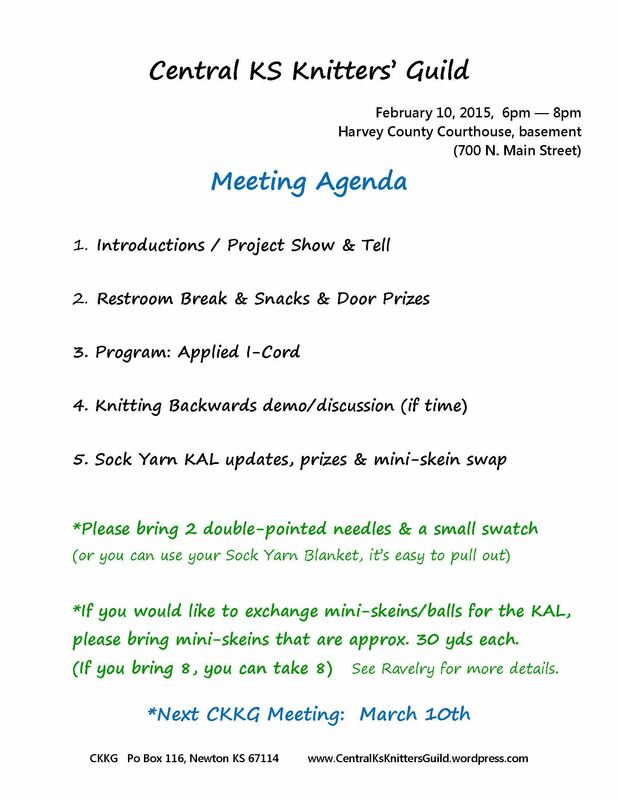 Join us this Tuesday for our monthly meet up of the Central KS Knitters’ Guild! Grab your knitting and a friend and join us in Newton (Harvey County Courthouse) from 6-8pm. Carpool details and discussion can be found on our Ravelry Group page. Previous Previous post: Jumping into 2015!